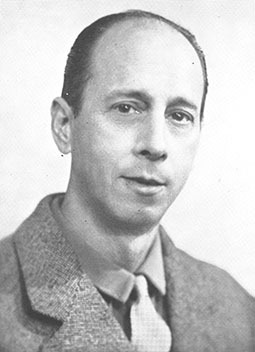 On this date in 1963, Francisco Franco’s government shot Communist agitator Julian Grimau. Grimau (English Wikipedia entry | Spanish), a member of the Communist Party of Spain‘s Central Committee since 1959, had fled to exile after escaping the end of the Spanish Civil War in 1939. But he in 1959 he took over the Communists’ activities within Spain itself, and began living underground in his old homeland. The Franco regime dearly wanted to take him. Wait. Er … it seems he survived the fall. That awkward circumstance — officially, Grimau hurled himself out the window for no discernible reason — tracked him into what passed for a regular judicial process. In practice, that meant a military tribunal which gave him, two days before his execution, a five-hour trial for his part in the Spanish Civil War. Specifically, Grimau was charged as a “Chekist” for torturing and executing prisoners while part of the civil administration of Republican Barcelona; the evidence submitted on this point was mere hearsay. This charge put the fascists in the rather insincere position of avenging the Communist Party’s repression of its own civil war allies, the anarchists and the anti-Stalinist POUM party — an episode memorably recounted in Orwell’s Homage to Catalonia. Grimau’s prosecutor was a man who had made his legal bones in the immediate aftermath of the civil war as Franco’s Fouquier-Tinville, shuttling defeated Republicans into the hands of their executioners so lightly that he would joke, “bring in the accused’s widow!” with a laughing court. * This 1963 trip down nostalgia lane would prove to be the last ever occasion a Spaniard was prosecuted for the civil war; indeed, the Grimau backlash would help provide the impetus for Spain to finally scrap the military tribunals which dated to the aftermath of the civil war. Those laws, and that war, had passed a quarter-century before. Their nakedly political requisition here triggered international outrage. Eight hundred thousand people and a litany of world leaders implored Gen. Franco to exercise his prerogative to block the execution; when Franco refused, protests livened the Spanish embassies of many a city across the globe. In Buenos Aires, someone chucked a bomb at the embassy. None of it availed Julian Grimau. Grimau’s lawyer, who witnessed the dawn execution illuminated by the headlights of military trucks, reported that the soldiers detailed to form the firing squad were very nervous and badly botched the shooting. There’s more about Julian Grimau in Spanish than in English; see in particular JulianGrimau.org, a site commemorating the 50th anniversary of his execution. * The prosecutor, Manuel Martin Fernandez, didn’t even have a law degree: he had entered the profession by falsely claiming that his credentials were destroyed during the civil war. In 1964 this became publicly exposed and Fernandez himself went to prison for his decades-long imposture.